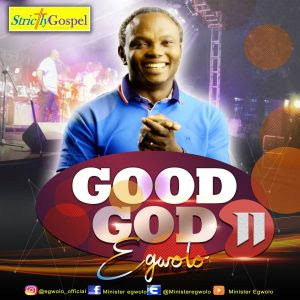 "Minister Egwolo Okore" is a teacher of God's word, a song writer, a music minister and a man given to mentor-ship and raising the next generation of gospel music ministers. He is the CEO of strictly gospel studios worldwide. He comes from the Niger Delta region of Nigeria Isoko by tribe and has written many songs both in English language and Isoko. Some of which are recorded in his first album "Good God season 1". He is married to his lovely wife "Mrs Helen Okore" and they are blessed with four anointed children. This album is loaded with spirit lifting songs of praise, worship and prayer. They will bless you beyond your imagination. The are recorded mixed and mastered at Strictly Gospel studios worldwide and will be officially released during the Strictly Gospel Easter concert 2.0.